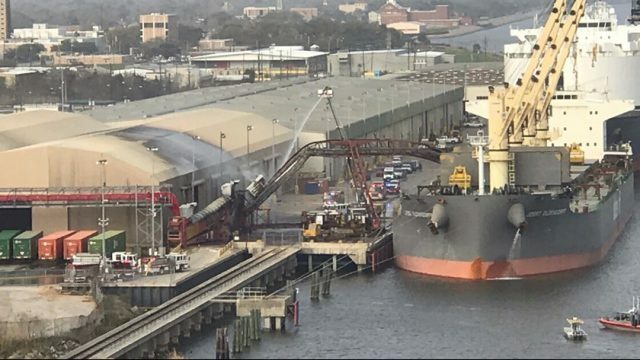 The 200 meter long, 61122 dwt bulk carrier Jobst Oldendorff caught fire while loading cargo at Port Arthur, Texas. 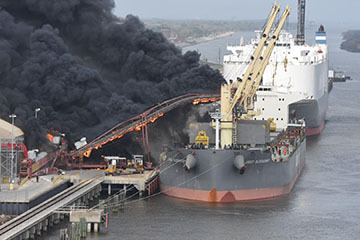 The Jobst Oldendorff was unloading wooden pellets when a fire broke out on a conveyor belt. 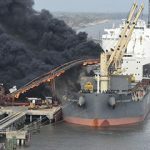 The fire ignited some 10,000 tons on the quay as well as some wooden pellets in the hold. The fire spewed out a dense cloud of black smoke. Firefighters were able to extinguish the blaze a few hours later, but both the berth and vessel sustained damage. No reports of injuries or pollution released. 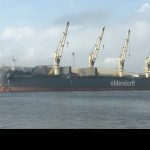 The Jobst Oldendorff will be inspected for damage before it leaves port. 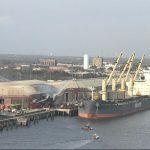 Details on how much of the 50,000 tons of wooden pellets were destroyed has not been released. Reports state an electrical short on the conveyor started the fire. 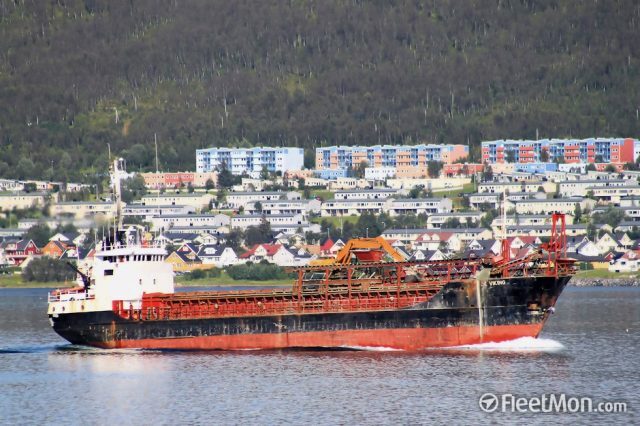 On February 26, the 61 meter long, 945 dwt cargo vessel Bulk Viking became disabled disabled off Offersøy, Norway. The Bulk Viking was headed to Kobbvaagen from Narvik when it struck bottom off Offersøy. 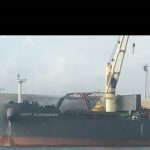 The cargo vessel sustained damage or lost its rudder. Unable to steer, the crew sent out a distress call requesting assistance. Authorities dispatched two rescue boats to the scene. The rescue boats were able to assist the Bulk Viking and proceeded to Harstad. No reports of injuries, damage or pollution released. 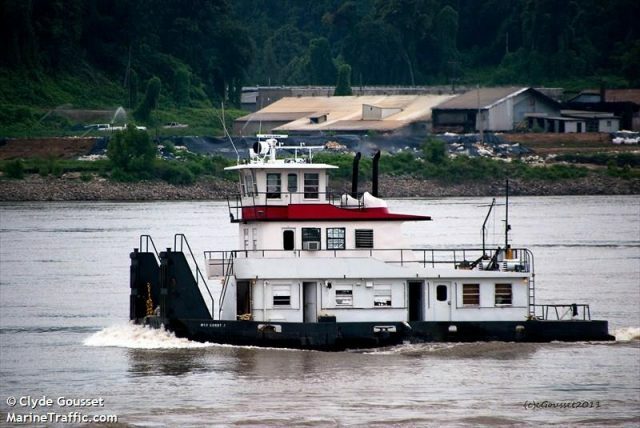 The 20 meter long towboat Sonny J partially sank on the Mississippi River near Vidalia, Louisiana. The towboat sank with some 4,000 gallons of diesel fuel on board, but the fuel tank vents remained above water. Reports state the vents have been sealed and a containment boom has been deployed around the vessel. A light sheen could be seen around the Sonny J and absorbent pads were used to collect the pollution. No reports of injuries. The cause of the sinking is under investigation.